I. 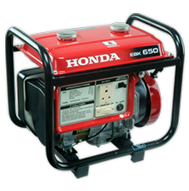 What is Honda One Make Race? 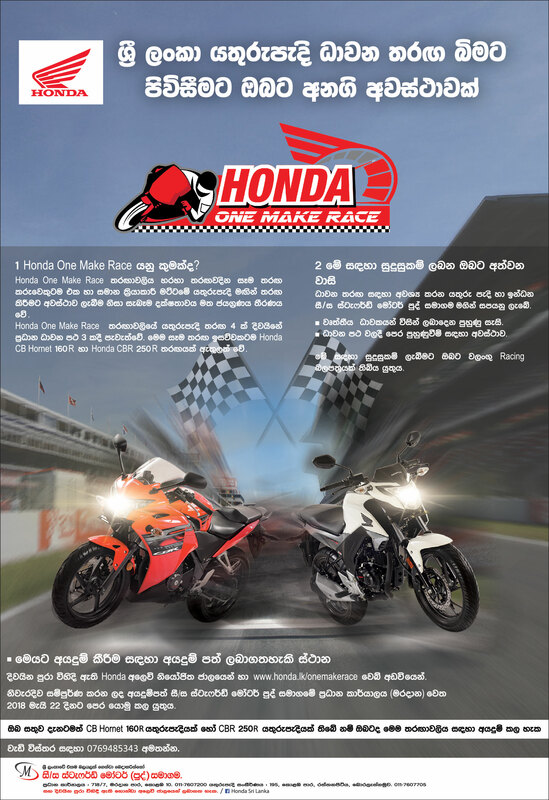 The Honda One-Make Race will be launched by SLARDAR under Sri Lanka Super Series in March 2018 in collaboration with AMRC which will consist of two One Make events, the CBR250R & the CB Hornet160R for both novices & professionals. The Honda One-Make Race will provide an opportunity for riders to compete under equal conditions where the winner will be crowned purely on the skills & ability of the rider as all the machines will be equal thus not providing any undue advantage to any rider. Racing is considered a costly sport and therefore restricts many talented riders from getting their due recognition. But the One-Make race will provide a unique opportunity for skilled youth in Sri Lanka to come into the racing arena without having to invest on a bike, which is another key feature of this event. Stafford Motor Company will power the Honda One Make Race with 8 units of CB Hornet 160R motorcycles and 8 units of CBR 250R motorcycles. Talented riders from all over the country will be given an equal opportunity to perform on the test track and get selected to one of the teams where the cost of maintenance will be of no burden to the rider. Therefore, this will be a launching pad for talented riders in Sri Lanka to get recognized and progress as a professional racing rider. III. How Do I Join? 1. Individual must be 18 years or above. 2. If you are under 18, you must have parent’s consent. 3. Should possess a valid racing license. 1. Application forms will be available at authorized Honda sales dealers island-wide/ leading newspapers or you can click here to submit online. 2. Duly completed & signed applications should be handed over to SLARDAR office before 4th of May, 2018. 3. 100 applicants will be given the opportunity to take part in a trial run prior to the One Make Race. 1. Top 8 riders from CB Hornet 160R category and top 8 riders from CBR 250R category will be selected by SLARDAR officials according to best timing from the trial run. 2. These 16 riders will be coupled into 8 teams, 4 CB Hornet160R teams & 4 CBR 250R teams. 3. Above teams will be selected by a random draw. IV. Are There Any Benefits for Me? 1. Racing motorcycle will be provided by Stafford Motor Co. (Pvt) Limited. 2. 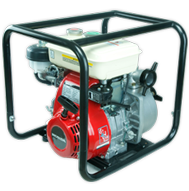 Maintenance, fuel refilling, servicing, repairs* & delivery will be carried out by Stafford Motor Co. (Pvt) Limited. 3. Oil, tyres, etc will be provided by other sponsors. 4. Each team will be sponsored by a reputed organization and will be used in their promotions. 5. You will be given quality training sessions by professional racing riders. 6. Practice sessions will be available at the race tracks prior to the Honda One Make Race. V. Do I Have to Pay? 1. Entry fee of Rs. 15,000 will be charged for CB Hornet 160R riders per race (Rs. 60,000 for the 4 races). 2. Entry fee of Rs. 20,000 will be charged for CBR 250R riders per race (Rs. 80,000 for the 4 races). 3. You will have to bear the cost of your riding gear & safety equipment. VI. What if I Already Have a Honda? 1. If you own a CB Hornet160R or a CBR 250R, you still have the chance to enter the Honda One Make Race even if you don’t qualify at the trials (Regardless of clause "III. c) 1"). 2. 8 riders from CB Hornet160R category and 8 riders from CBR 250R category will be selected for this opportunity on the first come, first served basis. 3. It should be noted that clause "VI. 2" is independent of clause "III. 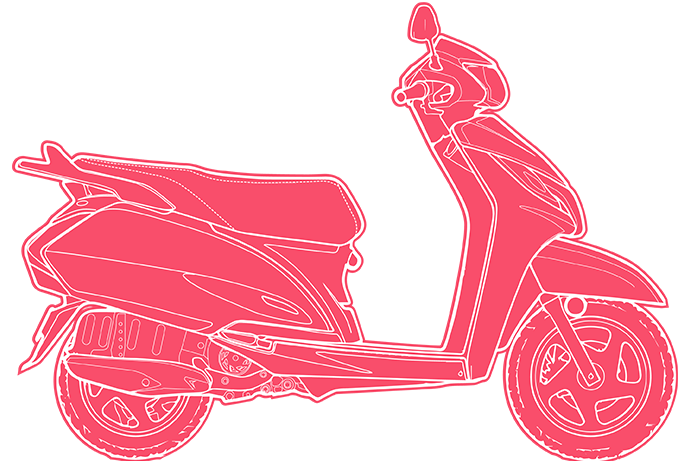 c) 1" and will allow a maximum of 16 riders per motorcycle category. 4. All motorcycles in this event should be factory standard and no modifications will be allowed. 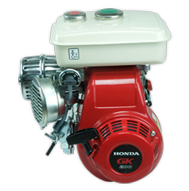 Therefore if you are entitled to the Honda One Make Race by clause "VI. 2", SLARDAR officials will scrutinize your motorcycle and seal the engine prior to the event. 5. If the seal is observed to be broken or tampered with before the race, you will be disqualified immediately. 6. No entry fees will be charged. (Regardless of clause "V. 1" & "V. 2"). 7. However, none of the benefits under the section "IV" will be valid. VII. Anything Else That I Need to Know? 1. Under clause "IV. 2", Stafford Motor Co. (Pvt) Limited will carry out only minor accident repairs & running repairs to the freely provided motorcycles. In case of a major damage, the rider is accountable for the full repair. 2. Stafford Motor Co. (Pvt) Limited will bear no burden of the external or internal injuries sustained by racers during these events and a rider should be fully responsible for their own actions on the race track. 3. If a rider ends up in a serious crash during an event, he/she will be automatically disqualified thereafter from the Honda One Make Race. 4. All decisions taken by SLARDAR & Stafford Motor Co. (Pvt) Limited in all aspects of Honda One Make Race will be final.